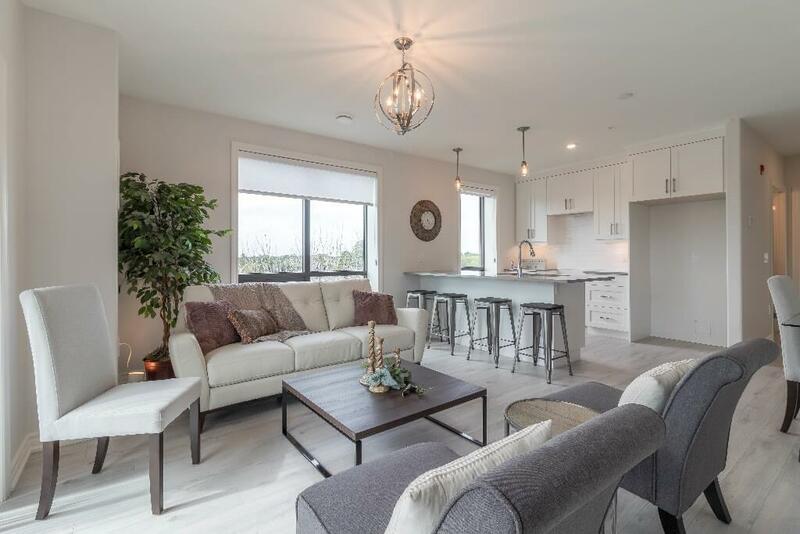 The 5-storey condo is complete and ready for you to move in, so this is an amazing opportunity to buy brand new without having to wait for the condo to be built. Niagara Innovative Living has seen a good mix of buyers, including first-time buyers, empty nesters, and small families. The available suites are all two-bedrooms with two bathrooms, with high quality features, including quartz countertops and 36” wide doors, which is great for wheelchair access if required. Buyers are also enjoying the low condo fees. In the first year, your condo fees are just $165 a month, then it goes up to $265 a month the second year, which is still pretty low! The condo fees are low because it’s mostly just the exterior and small amount of common areas that require maintenance. The new photos show how bright the living space is with the open-concept layouts and easy access to your balcony. There’s even a window in the kitchen, which is somewhat of a rare find in condos. There is clearly plenty of room at the breakfast bar, enough for four people to sit and eat breakfast or enjoy their morning coffee. There’s also space for a more formal dining area for nights when you want to eat together around the table. This flexible layout is also great for entertaining. Your guests can mingle in the living room or out on the balcony, gather around the table, or join you in the kitchen. 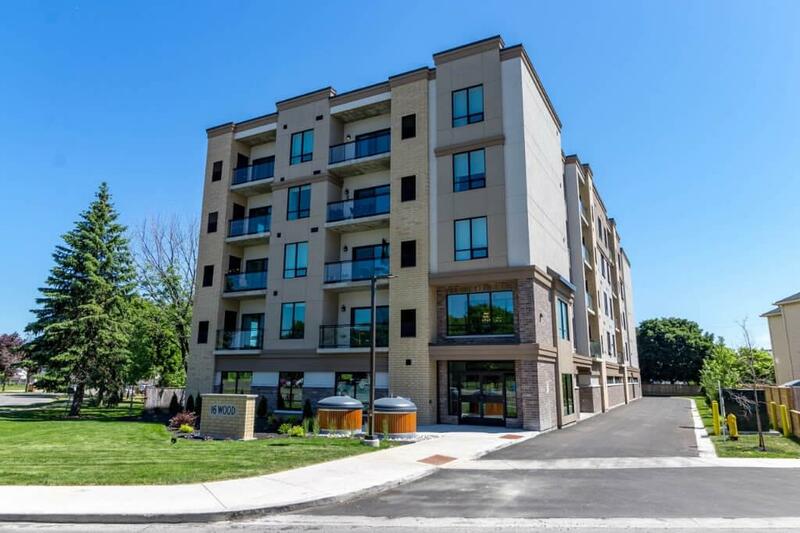 Conveniently located at 16 Wood St. in St. Catharines, Fairview Condos is minutes from two grocery stores, many banks, coffee shops, an LCBO, a Costco, and a YMCA! If you want to buy at Fairview Condos, now is the time to act! There are only a few suites remaining and with these new photos out in the world, buyers will jump on this opportunity quickly. Prices are starting from $449,900. 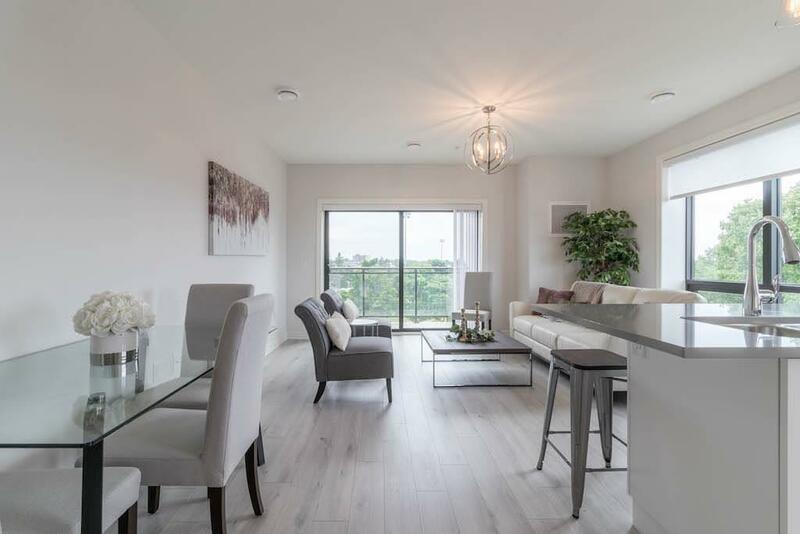 There are open houses at Fairview Condos on Fridays from 10 am to 12 pm, and you can also book an appointment for any time by calling 905-650-3113.